While not always, most graduation gifts involve some sort of money, whether it be cash or a check. 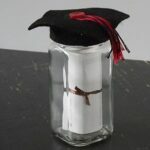 So quite often, parents and relatives are looking for fun ways to package that monetary gift, instead of putting it in a boring white envelope. This gift jar once held dried herbs, making it a nice compact size, perfect for a rolled up check. These are also great for other gifts. Let’s say you bought a laptop for them for school, but you didn’t want to lug that to the graduation ceremony. Print a picture of the laptop, cut it to size and write a fun message, then roll it up inside the jar. Fun! If you’re anything like me, you have a cabinet somewhere full of empty jars that once held jelly, spices, sauces and pickles. 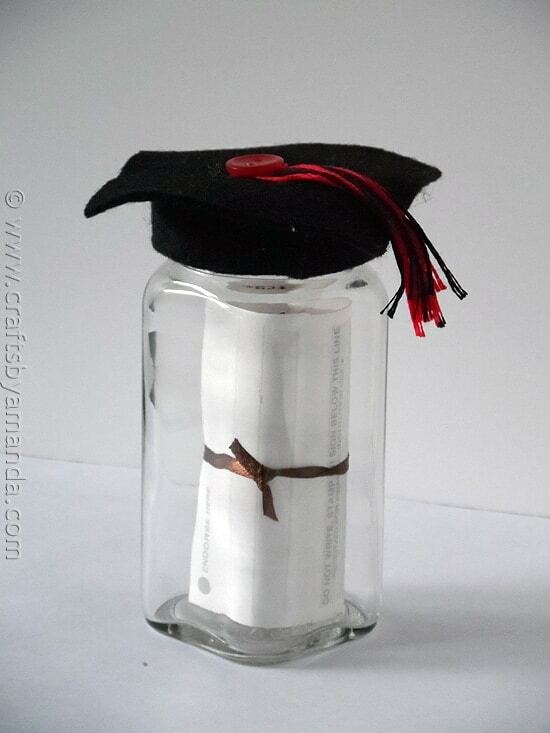 So dig one of those babies out and let’s get busy making a cute little gift jar for your graduate! You’ll need some black felt. 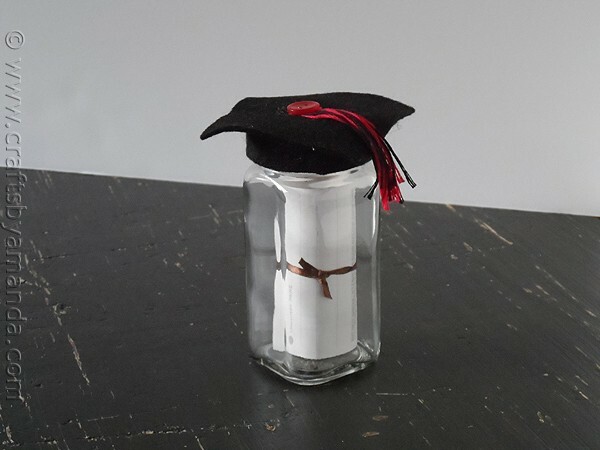 If your graduates colors are different, by all means, use corresponding felt! Cut enough that you can cover the lid and the sides of the lid. Then you’ll cut a square to go on top of the lid. 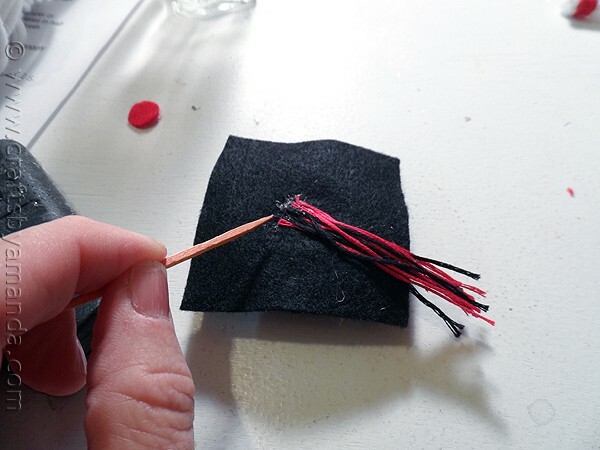 Use embroidery thread in your graduates colors to make the tassels. Wrap them around your fingers a few times and trim. Then glue them to the top and add a button to cover up the ends. That’s it! Happy graduation to all you lucky seniors! And congratulations mom and dad, you did it, and so did they! Cut a square of felt big enough to overlap the lid of the jar by 1/2" on all sides. 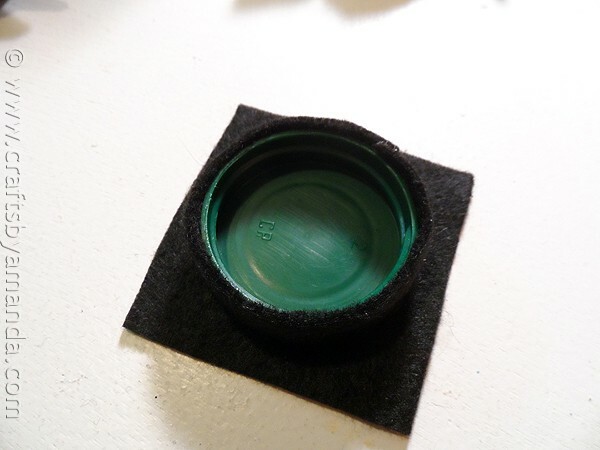 Cut a strip of black felt and hot glue it to fit around the outside rim of the lid. Hot glue the square of felt to the top of the lid. 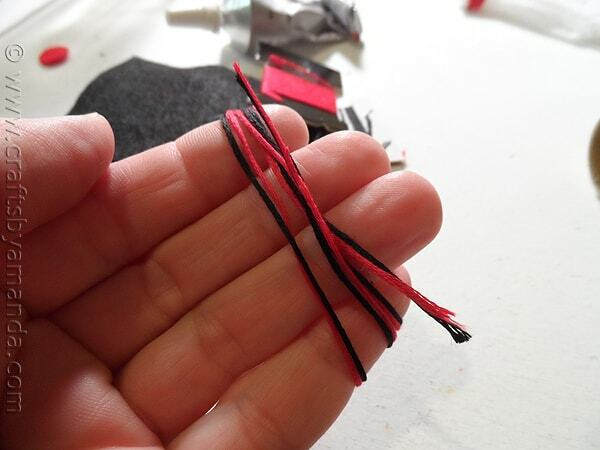 Wrap embroidery floss around four fingers several times, cut loops at both ends. Gather ends and hot glue to the center of the felt "cap" then hot glue the button on top to cover the floss ends. Insert gift, such as a check, cash, or other item inside the jar and attach lid. 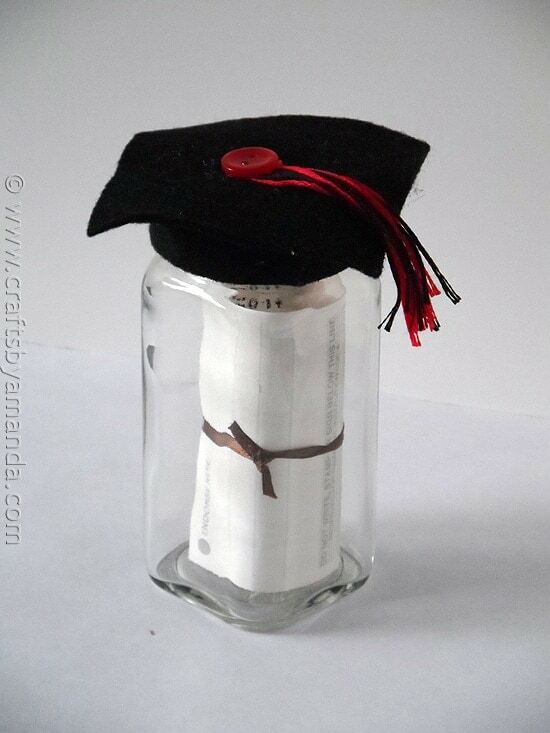 I love this idea…as I read it I thought, get small wrapped candies and “hide” the money/check in the jar! I liked the flowers idea too. Thanks Christie! Good idea about what to fill it with! This is a fun, different idea! Seems we have someone graduating almost every year. I love your idea for a change. Think I’ll include some small flowers inside to dress it up a bit. Thanks for sharing. Me ha dado una gran idea. Soy directora de Lleura y me hace ilusion hacerles un detalle a los niños que salen del colegio para iniciar la ESO. What an awesome idea! I think I will make this for my son when he graduates from trade school in the Fall and he can use it afterwards to hold either change or cords to charge his gadgets.